ImgBurn 2.1.0.0 0 out of 5 based on 0 ratings. Added: Option of using an auto-generated (where possible) volume label if none as been specified in Build mode. Added: Option to auto ignore \'In Use\' files during a \'Build\'. Added: Directories now have their \'Modified\' dates preserved in \'Build\' mode. Added: Log entry to show existing emulation type of boot image (plus other info) on a cd/dvd when using the \'Create Boot Image\' feature. Added: The \'Sync Cache\' command now auto retries when it fails with the error \'Logical unit not ready, Long Write in Progress\'. Added: If you load an IBQ (ImgBurn Queue) file and one (or more) of the image files don\'t exist, you can choose to locate them elsewhere - incase you renamed / moved them. 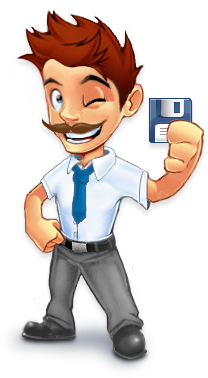 Added: Ability to add \';1\' (known as File Version Number) to the files in the Joliet filesystem. This \'should\' only be done for ISO9660 filesystem files but some players are buggy. Added: Ability to auto queue images created in Build mode. Added: The \'save on exit\' option for the log now has the ability to append to an existing log file. The log is now save by default on new/updated installation and is set to append to a single file. Added: Additional logging for when the \'Create Boot Image\' operation fails. Added: Option to apply the \'Delete Image\' setting to the other selected images. Added: Buttons to the bottom of the queue window for applying the current settings (i.e. those of the first selected image in the list) to all the other selected images. Added: Option to sort Queued images by their parent folder name (NOT the full path, just the folder name). Added: Info about total number of queued images remaining and total number of copies remaining to the burn queue window. Added: An alternative \'Padded\' MD5 calculation for when burning + verifying an image on DVD+R media where the drive automatically pads the image so the last sector is divisible by 16. Added: Right click the \'Browse\' button in the destination box (in build mode) and you\'ll get an option to swap the drive of the current path - it\'ll also show you all drive names / sizes (same as how DVD Dec used to do it when you right clicked the actual name). Added: \'Stay On Top\' to the system menu of the main window. (Left/right click the top left icon in the Windows caption bar). Added: ISO Build mode can now be told where to put the DVD Video type content within an image (start/mixed/end) - really only applies to when you also have normal DVDROM content to add to the image - the default is \'mixed\'. Added: Support for listing the Manufacturer ID of BluRay discs. Added: Various options for how often the \'Check for program update\' code should run. Choices are: Daily, Weekly, Fortnightly, Monthly. Added: Speeds shown during burn/verify of HD DVD/BD discs should now show the correct relative speeds for that format (rather than being based on 1x DVD speed). Added: Buttons to copy volume labels to the other file systems - i.e. from ISO9660 to Joliet and UDF. Added: Info about current status of \'IFO/BUP 32K Padding\' option to the image details message box that pops up just before the build starts. Added: BD-RE has been added to the existing \'DVD-RAM FastWrite\' option. This prevents the drive from performing its own internal write + verification, leaving verification down to the software. Added: \'/CLOSEINFO\' CLI command to allow closing of the application once it has written the info file (based on \'/INFO\' CLI command). Added: \'/ROOTFOLDER\' CLI command to allow bypassing of the prompt about a single folder representing the root folder. Added: \'/NOSAVESETTINGS\' CLI command to prevent the program from saving the settings when it\'s closed. Added: \'/VOLUMELABEL_ISO9660\', \'/VOLUMELABEL_JOLIET\' and \'/VOLUMELABEL_UDF\' CLI commands for people that like to have different volume labels for each file system in \'Build\' mode. Added: \'/PRESERVEFULLPATHNAMES\', \'/RECURSESUBDIRECTORIES\', \'/INCLUDEHIDDENFILES\', \'/INCLUDESYSTEMFILES\', \'/INCLUDEARCHIVEFILESONLY\' and \'/CLEARARCHIVEATTRIBUTE\' CLI commands to allow maniplulation of core \'Build\' mode settings. Added: Build mode can now be passed multiple folders/files via cli using the \'/SOURCE\' argument and by using pipes (\'|\') to separate file/folder names within the quotes. Added: \'%B\' to the default IBG file naming options. This is replaced by the date in YYYY/MM/DD format. Added: Option of automating the answer (\'Yes\' or \'No\') to the \'Root Content\' question in Build mode. Added: IBB files now also support the \'Bootable Disc\' tab settings in Build mode. Added: Option to have the most recently used tab remembered / restored within Build mode. Added: Correct sorting of files in the AUDIO_TS folder. Added: The uppercase / filtering options for DVD-Video have now been extended to include the AUDIO_TS and JACKET_P folders. Added: Warning message to the \'Ignore\' button on the \'Create Layer Break Position\' window. Added/Changed: The \'Create MDS File\' option in build mode has been expanded to allow \'Auto\' / \'Yes\' and \'No\' modes. \'Auto\' means it\'ll only be created when there is a need for it. Added/Changed: Images built in build mode are now padded so their total size is divisible (exactly) by 16. Added/Fixed: Files with the \'Hidden\' attribute set are now marked as \'Hidden\' within the image file that Build mode creates. Changed: The \'Change Volume Label\' dialog box has been redesigned so it\'s more like the one that pops up when you build an image without specifying a name. Changed: Some of the pictures on the \'start\' buttons have been replaced so they all match. i.e. no more picture of a hdd - it now shows a picture of an image file. Changed: The \'Media\' tab in ISO Build mode is now hidden when outputting to a \'Device\' rather than an \'Image File\'. It does not apply when outputting to a \'Device\' because it\'s all automatic. Changed: \'Create/Select Layer Break Position\' dialog boxes are now resizable. Changed: All the \'Media Control Notification\' stuff has been rejigged so that windows can detect when the media/media content has been changed if the program isn\'t doing anything important like burning/erasing etc. Changed: The Queue window is now reopened (if appropriate) after inserting the next disc for a queued burn. Changed/Fixed: When a build is cancelled and an incomplete file is deleted, the empty folders were also deleted without warning. You\'re now asked if you want to remove empty directories. Fixed: UDF filesystem wasn\'t using the \'Creation Date\' specified in the options for volume dates. Fixed: Statusbar stayed showing \'0% - Creating Boot Image...\' even when it had finished if the boot file was really small. Fixed: Verify mode wasn\'t showing the correct \'progress\' values (sectors, size, time etc.) for some CD images. Fixed: Layerbreak code in ISO Write mode wasn\'t correctly being told about fixed layerbreaks - as found on DVD-R DL. Fixed: Jumping focus bug when selecting items in the burn queue that had certain option enabled. Fixed: It was possible to click the big \'Write\' / \'Build\' / \'Verify\' buttons twice and get 2 lots of threads running doing the same thing. The buttons are now disabled the second they\'re clicked. Fixed: UDF backup anchor could end up in the wrong position due to automatic drive padding on DVD+R when the total image size (in sectors) is not divisible (exactly) by 16. Fixed: When doing queued burns (shared between multiple drives), the taskbar button would flash forever until the program was made the foreground app (by clicking on it). Now it stops it flashing once the \'Auto OK\' thing has kicked in and it\'s no longer waiting for user input. Fixed: Some of the \'open file\' dialog boxes could attempt to take on default file names that they shouldn\'t have been (i.e. ones internal to the program). Fixed: Path names with trailing back slashes weren\'t accepted/used by build mode when passed using the \'/SOURCE\' CLI command. Fixed: In Build mode, double layer images requiring a lot of padding (to make it 50/50) and at the same time making use of 32k gaps could end up with layer 1 being larger than layer 0 and layerbreak LBA positions shown in the \'Create layer break position\' window would be wrong. Fixed: Incorrect offset in IFO when a gap was added between IFO and BUP (i.e when there\'s no, or a small, VOB file). Fixed: Some methods of drag + drop weren\'t working as they should have been. Fixed: PECompact virus warning from some AV software. Fixed: \'End Of File Reached\' error message when verifying some really small images. Fixed: \'On Startup\' option of setting the \'Build Mode\' (i.e. what it outputs to - device/image file) didn\'t work. Fixed: Incorrect custom file/folder times due to daylight savings being applied once within the image and then again by the operating system as the end user views it.